There are many changes to Photoshop CS6. I discover them every time I use it. And I am sure as I keep using it, I will discover more. I will note many of them as I write this review of Photoshop CS6 Beta and describe my first impressions. Adobe has stated that there are 62 % more new features and over 65 user-inspired enhancements. One of the new under the hood major features is the new Adobe Mercury Graphics Engine designed for "blazing fast" performance. The first item that struck me was the new "sleek" dark interface with silver letters. Upon opening the program, I made a few changes and thought I would share these with others. Perhaps since I have used Photoshop for over 20 years, I have become accustomed to certain things. One is the interface. I like the older gray interface. Fortunately, Adobe has made it very easy to change it and customize it in many ways. Edit>Preferences>Interface. Also, in Photoshop I don't like my images to open as tabs. I do use tabs in Dreamweaver all the time and find it invaluable for a good workflow. Edit>Preferences>General>uncheck tab. I'll first discuss some of the publicized new features starting with Camera Raw 7. When I saw a demo of it and what it can do, I was skeptical. 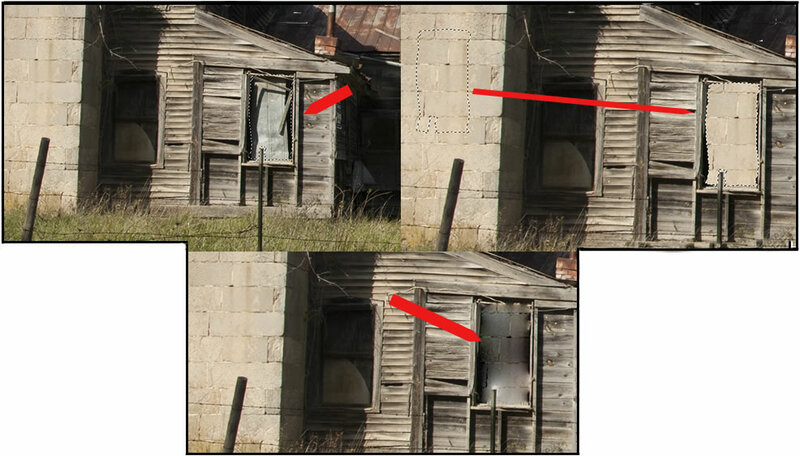 However, I took a very overexposed image and within less than two minutes, I was able to correct it. I, then, took the original into Photoshop CS5's Camera Raw component and try as I might I could not make it pleasing. The colors (especially the blue of the sky) in the one created in Camera Raw 7 in Photoshop CS6 are more accurate with the properly exposed images than the one created in Camera Raw in Photoshop CS5. 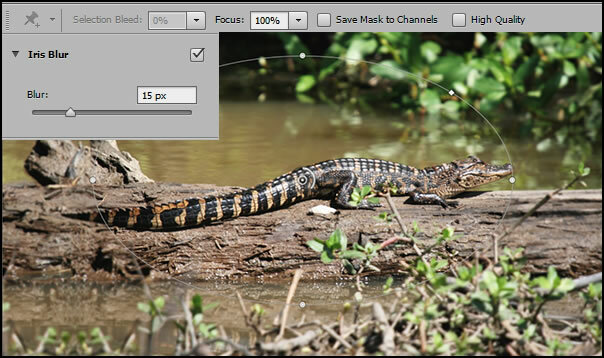 The functions and capabilities of Content-Aware have expanded in Photoshop CS6. I didn't know how this tree would appear when I moved it due to the branch structure. I was pleasantly surprised. I moved it through the new Content-Aware Move tool. It just left one tiny piece behind and all the limbs looked great in the new image. Below is just another example of what one can do with the Content-Aware Move tool. You can, also, extend part of an image. I extended the light green bushes in the back. Next I decided to fill in a window using the the Content-Aware Patch tool.. Notice how it filled in the window with the chimney blocks, but it kept the tonal quality of the window. Background Save is a long desired feature. No more crashes or exiting by mistake and losing hours of work. Rarely have I had Photoshop crash, but I have exited without thinking and lost work on an image. As with many new tools, the new Crop tool took some getting used to. 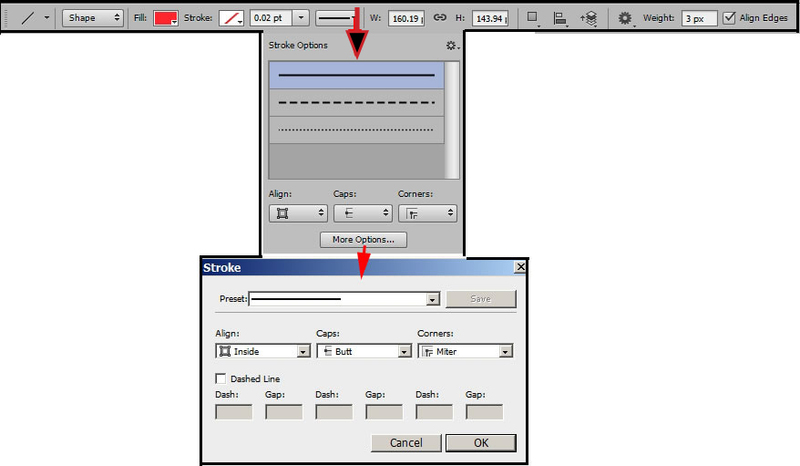 Firstly, after you press Enter to create the crop, to remove the dotted lines, you have to access another tool. Using the old crop tool (now called Classic) the Crop tool moved. Now the image moves. You can change your image nondestructively, with more precision, and in more ways. It is easy to see the number of new choices. After a short while, I became very comfortable with the new Crop tool. This shows some of the settings on the top toolbar when you select the Crop Tool. (screen capture courtesy of Adobe documents). 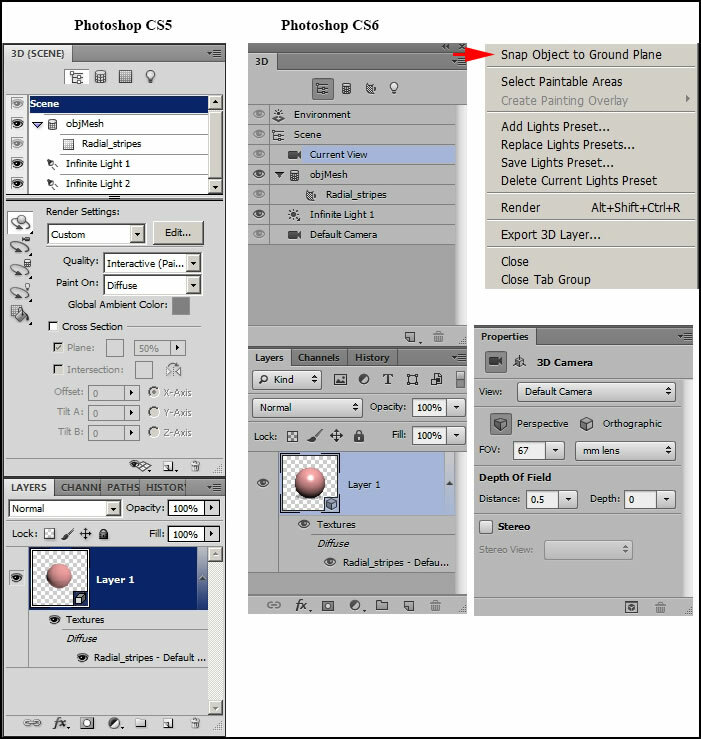 In Photoshop CS5, you had a choice of only Rule of Thirds, none, or Grid. 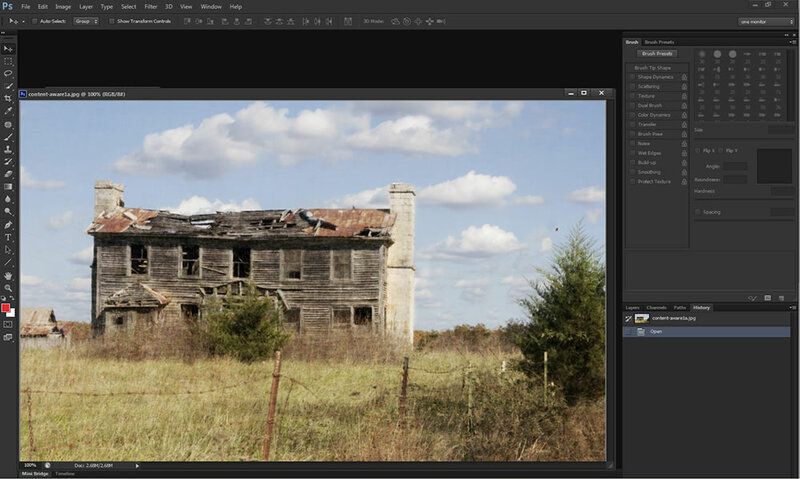 In Photoshop CS6, you can save your crop dimensions and resolutions as presets. 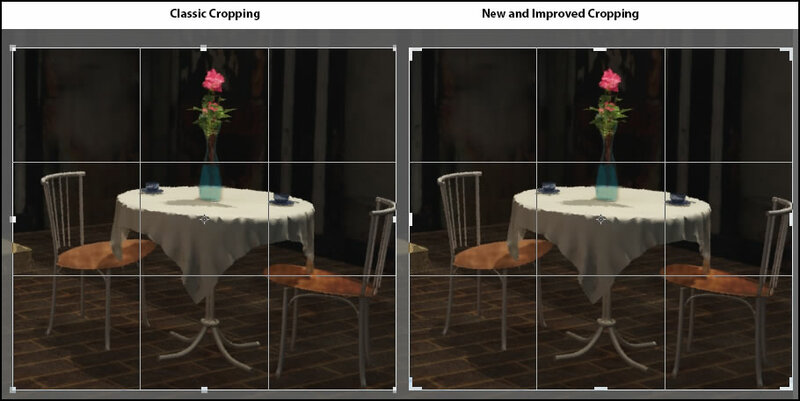 There is another new Crop tool called the Perspective Crop tool. 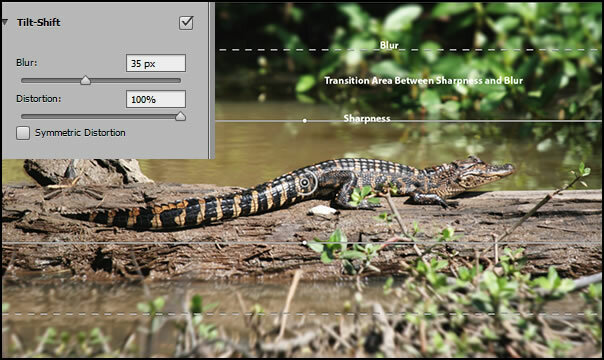 It gives the user the ability to align objects as you crop and to straighten image elements or scenes. I love this tool. 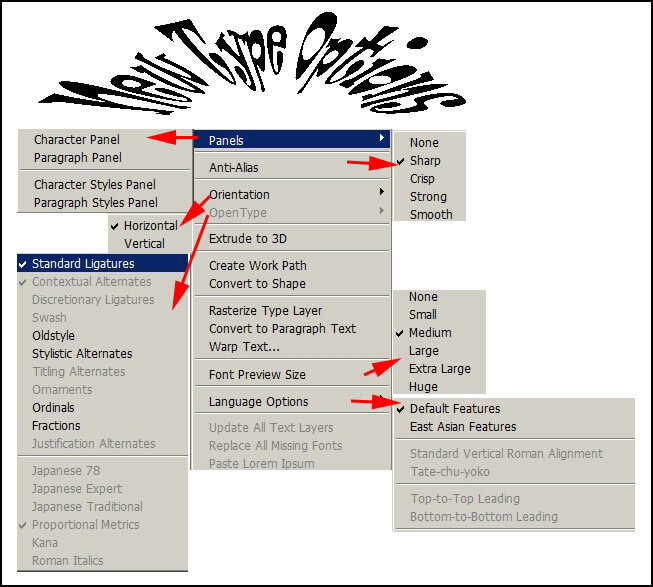 It already saved me a lot of work by not having to access different Transform options from the Edit menu. Photoshop CS6 has added new blur tools in the Blur Gallery. These are: Field Blur, Iris Blur, and Tilt-Shift. Also there are new Bokeh controls. 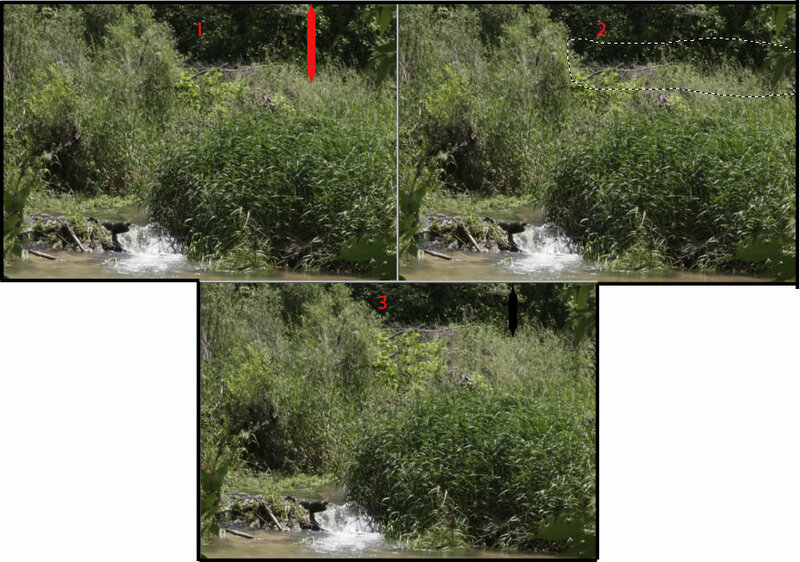 Below are the two original images I used to demonstrate some blur settings. 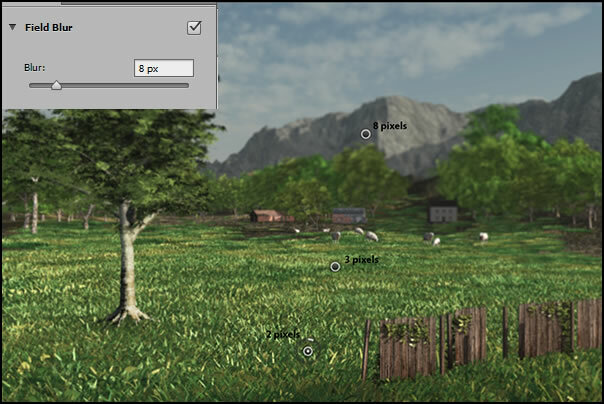 In Field Blur, you can position the pins using different sharpness settings for various parts of your image. Each pin has a different radius and, thus, controls the amount of blur. In Iris Blur you are replicating lens based depth-of-field. You adjust the transition between sharpness and blur by positioning the 4 white dots. As with the Field Blur, with the Iris Blur you can also add more pins. Tilt-Shift lines can be moved further apart or placed at an angle. Each of these blur controls will give different perspectives to your use of blur. You can, also, combine them. 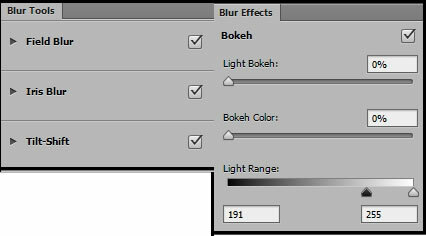 Add Bokeh settings to customize your blur even more. 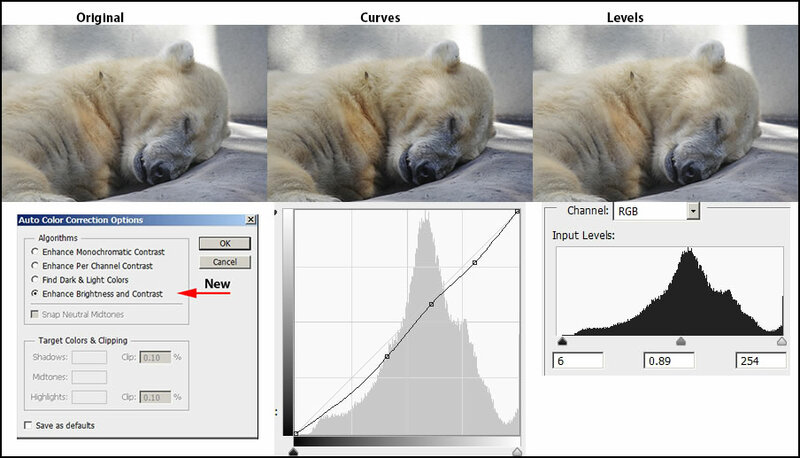 While I rarely use Auto options, I wanted to make note of the new algorithm that can be found in Curves, Levels, and Brightness/Contrast controls The change in Curves and Levels was created when auto was selected using the new to Photoshop CS6 option of Enhance Brightness and Contrast. On the top toolbar, there is a new heading: Type. There are more innovative type options than what I have shown here such as many types of Warping text, improved panels and much more. This gives you much more flexibility in design and layout. The Shapes tool has many more options than before including dotted lines. Initially, I couldn't find where all my settings were since I use the line and arrow whenever I write reviews. But in a short time, I felt at home with my new options and the greater possibilities available. The last part of this review will be the new 3D additions to Photoshop CS6; however while I use 3D programs such as Poser and Vue I rarely bring any 3D objects into Photoshop in my daily work flow. I use Photoshop daily and have been for over 20 years. I mainly use it for still 2D images so I will just show changes in panels from Photoshop CS5 to Photoshop CS6 and a text option for this Beta review. While I said I was not going to work with 3D, I was following a post in the Photoshop CS6 Beta Forum and got intrigued with how one can manipulate text so I decided to play with some type. It was really easy to get this caption for an image. In addition, while not shown here, I opened a Poser figure in OBJ format and changed many of the materials just to see what it would do. It was quick and easy. I decided to check on the backwards compatibility of Photoshop CS5 and CS6. 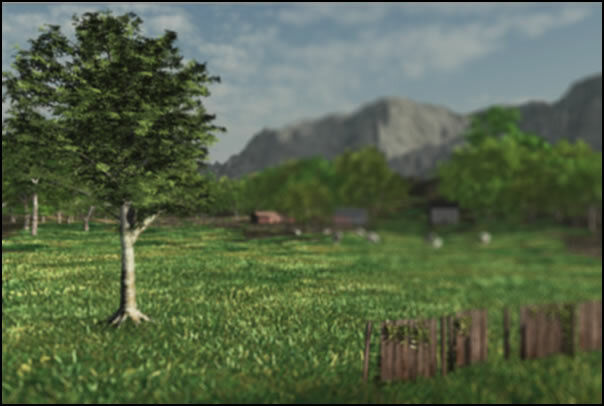 I first tried two things - I used the Content Aware Move tool to move a tree and the new Perspective Crop tool. I did this in Photoshop CS6 beta 64-bit version. I, then, opened it in Photoshop CS5 32-bit version. Both files opened correctly. I, also, added two new line layers using two of the new lines. These became shape layers in Photoshop CS6. When I opened the image in Photoshop CS5, it asked me whether I wanted to flatten it or keep the layers. I first chose flatten and it worked. I, then, reopened it and decided to keep the layers. This screen capture is a compilation of a few different screen captures all done in Photoshop CS5. I did find one new aspect in Photoshop CS6 that I don't like. In Photoshop CS5, when I opened a folder and clicked on a psd image, the image and size appeared at the bottom of the menu. In Photoshop CS6 it does not. The only way one can get similar information is to use the Bridge or use another program such as FastPictureViewer Codec Pack. I found this out when I posted a query on the forum and Noel Carboni answered it. However, I tried FastPictureViewer Codec Pack and didn't like the way some of the icons looked. Also, to use it, I would have to use icons and not lists and I prefer to use lists. I really preferred how Photoshop CS5 displayed previews. Internet connection and registration required for software activation. This software will not operate without activation. Broadband Internet connection required for online services. I have to admit when I first heard the new features of Photoshop CS6 I was not very excited. That is until I started to use it. I totally agree that this is a dynamite version. The new Camera Raw 7 is awesome in its ability to take an overexposed image and save it. While I don't mind cutting, pasting, and using the rubber stamp, the new Content-Aware tools are not just time savers but often produce better images. The Perspective Crop tool was pretty amazing and while the new crop tools did more than those in previous version, the Perspective Crop tool is my favorite cropping addition. I am not sure whether I will stop using Gaussian Blur to soften distant mountains, but the new Blur Gallery offers me a number of choices. I didn't have any fish eye examples to test the new Adaptive Wide Angle adjustments nor video to test those features although I doubt I will ever use Photoshop for editing video. I am truly excited about this beta version of Photoshop CS6. Playing with this beta has been a lot of fun. It has not interfered with Photoshop CS5. I have been going back and forth. To download it, go to: http://labs.adobe.com/technologies/photoshopcs6/. To find out what other users are doing and experiencing, go to: http://forums.adobe.com/community/labs/photoshopcs6/. I highly recommend that users find out what others have found because everyone uses Photoshop differently. I use few keyboard shortcuts and mainly menus. Most of what I do is non-repetitive and I find that using menus gives me a chance to think. I am saying this because I have read where individuals have had issues. I have checked some and have not had the problems. When I cannot find something that was in Photoshop CS5, I try to check the forum. Often I have found it has been moved or replaced. This saves me time. It is impossible to check out everything or even a high percentage. I am using Windows 7 64-bit and dual monitors. For more information on other Adobe products, go to: http://www.adobe.com.